I hear a lot of talk these days about the benefits of blogging for small businesses. Sometimes it seems everybody these days is starting a company blog. If you're a small business owner and you haven't already started a blog, I bet you've at least considered it. Problem is, as many people as there are out there crowing and strutting over the success of their blog, there are just as many -- maybe even more -- grumbling about how their blog is a huge waste of time and energy that never produces any results. So, should you blog? On one of the forums I frequent, a new member recently asked if it was "worth it" to start a blog. This member noted there were already some blogs in their field, but none of them seemed to be doing all that well. They were concerned it might be a waste of time to try to stimulate reader interest in what could be a "dead" niche. Well, sure, it could be the other blogs aren't doing well because people genuinely aren't interested in the topic. On the other hand, it … [Read more...] about Should Your Business Start a Blog? A client wants to develop a content strategy so they can rank for more keywords but isn’t sure if they can muster the resources to create a blog. Sound familiar? When budgets are tight, it’s often tempting to put more money behind your paid media campaigns; after all, you can actually see which ads and optimizations are generating the most revenue each month. Earned media is not so cut-and-dried. However, creating and developing blog content should be regarded as a long-term investment. And as any good financial advisor will tell you, it’s best to start saving early. There is evidence to suggest that investing in a blog today will pay dividends for years to come. Why should I have a blog? No matter if your website is focused on e-commerce, lead-gen or self-service, there is what I like to call a “finite keyword set” that constrains you, whether you realize it or not. 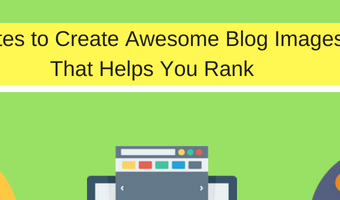 This concept of a finite keyword set is dictated by the fact that you want to serve the … [Read more...] about Will my organic rankings suffer if I don’t have a blog?